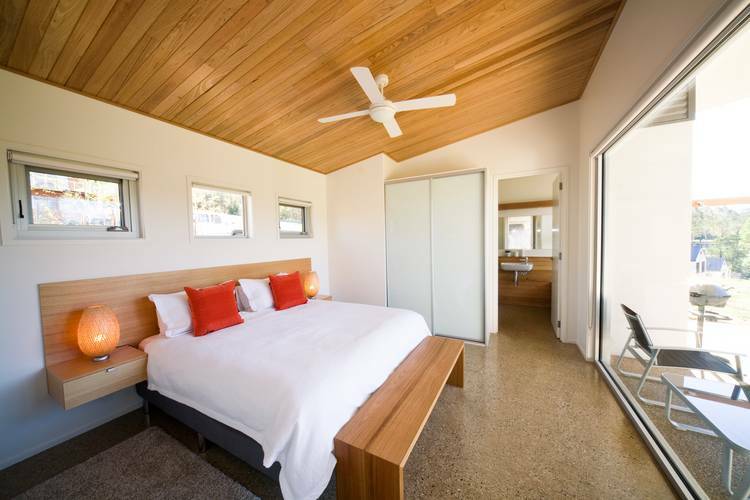 Looking for luxury accommodation in Bright? Aalborg Bright is a unique one bedroom Scandinavian inspired retreat for couples in the heart of beautiful Bright in North East Victoria. With spectacular views from every room, quality furnishings and fittings, contemporary and comfortable design, it sets the benchmark for couples seeking luxury accommodation in Bright. Plus, Aalborg Bright’s modern passive energy design means you can still enjoy luxury accommodation in Bright within minimal environmental impact. Aalborg Bright gets its name from the university city in northern Denmark which is described as a city of contrasts. 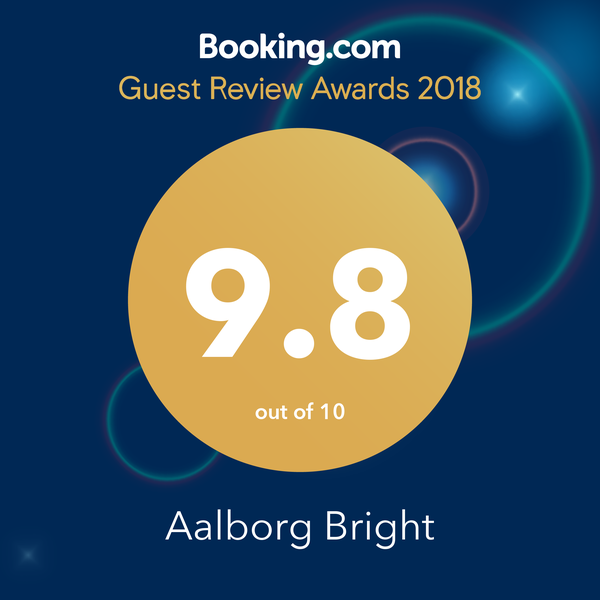 However, our love of Scandinavian interior design.was the main reason for naming our luxury accommodation in Bright “Aalborg Bright”. Aalborg Bright is the perfect base for exploring Bright and the surrounding region all year round. 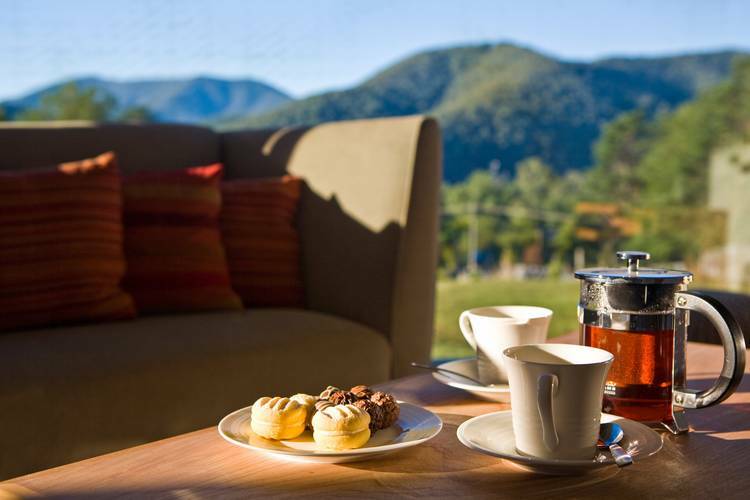 Whether you love the wineries and restaurants or more active pursuits such as cycling, hiking, skiing or paragliding, all are within reach from our luxury accommodation in Bright. It’s also just a short walk to Bright’s many cafes, shops and amazingly great restaurants. Bright offers truly magnificent distinct seasonal attributes with stunning autumn colours, warm summers by the Alpine fed rivers. Come and stay and you will be surprised by all that beautiful Bright has to offer. Aalborg Bright’s design has Scandinavian influences. It’s uncluttered, light-filled interior is typical of modern contemporary architecture. 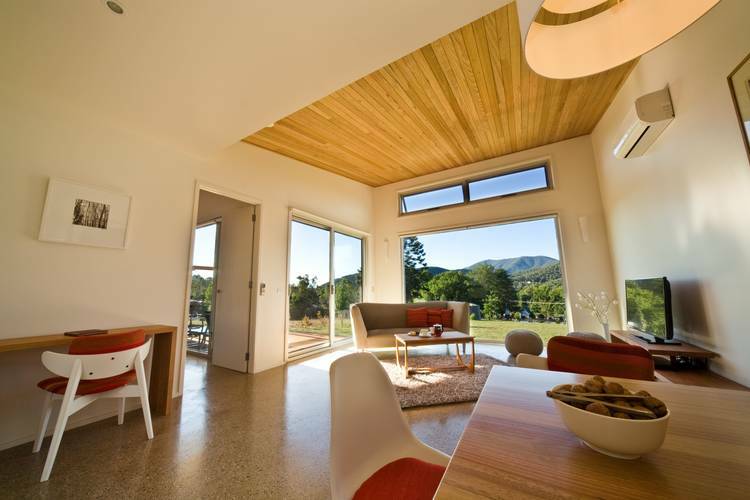 Aalborg Bright – Luxury Accommodation located in Bright Victoria. Aalborg Bright offers gift certificates for all occasions. Call us 0401 357 329 to arrange a personalised gift certificate.